Do you love yoga and wellness? Have you been searching for a festival to go to? When searching for the right festival to attend, it is important to keep in mind what it is you want to get out of the festival. Usually it will be a place that you will need to travel to so it is important that when searching for a festival, it is something that you love. 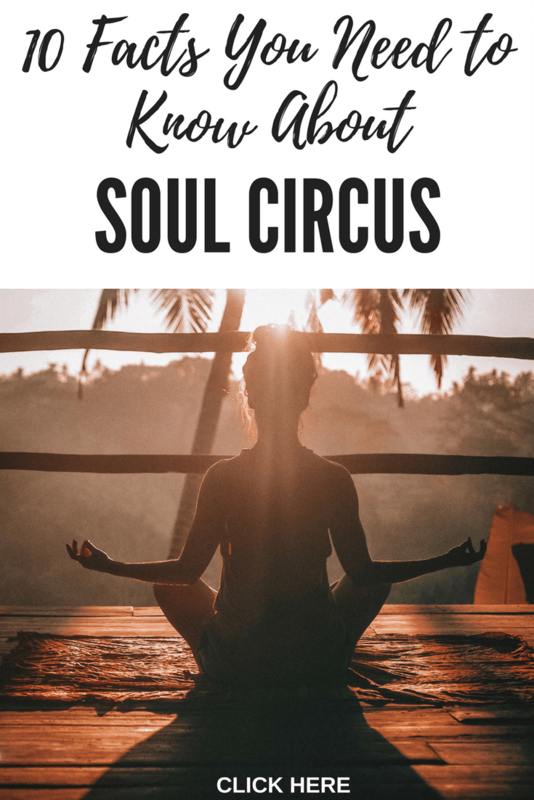 Soul Circus l is a festival meant to bring people together on the mat. It is a festival that brings yoga, wellness and inspiration together in one location. This festival has so many great things happening at it, it might be hard to keep track of! Here is a list of everything that you need to know about the Soul Circus Festival to make your decision! When and Where: This festival is in Elmore, Gloucester, and the dates are August 17-19th, 2018. Local Sourced Food: All the food at the event will come from all local markets and farmers to provide all attendees fresh food from the local area. What will I do there? Each day has a specific schedule of events going on. The events going on are daily yoga sessions, mindfulness workshops, circus fitness, after dark forest parties and more. Where do I stay? They call it glamping. This means that you will get a tent furnished with cozy accessories and fairy lights hanging in it! There are different costs and sizes, click here for more information. Other things to do there? There is kid yoga going on, so you could bring your children if you wanted to. There is also a luxury spa what will be there you can book sessions at. A holistic chef and holistic food can be found there. To top it off, they have a lakeside hot tub. What fitness classes can I take? There are masters of yoga that come to do sunrise sessions at the lake. There are also aerial yoga classes as well as cycling. What is there to do at night? At night there are DJs that play in the forest lit with fairy lights with singers in amazing costumes and many different performances. Can I go only for one day? Yes, you can buy tickets for each specific day if you only want to stay for the day. Make sure you buy them sooner than later to ensure they dont sell out. Where do I buy the tickets from? Click here and it will bring you to the ticket page. You are able to put down a deposit instead of paying the whole price for the final release.